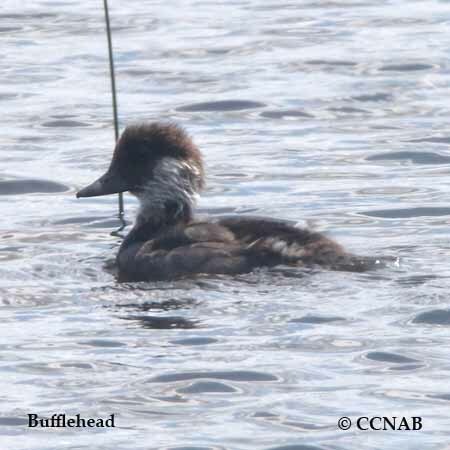 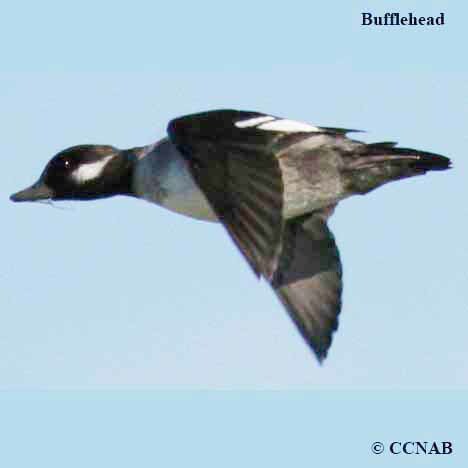 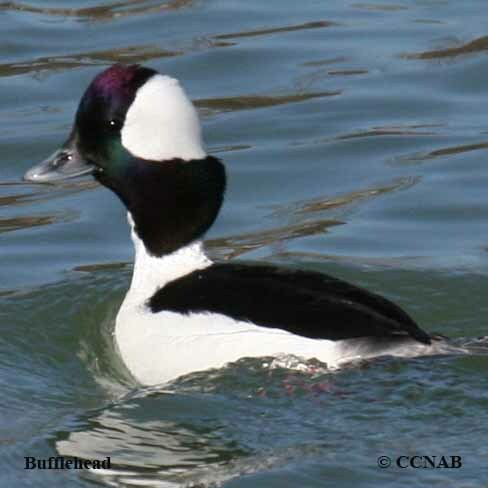 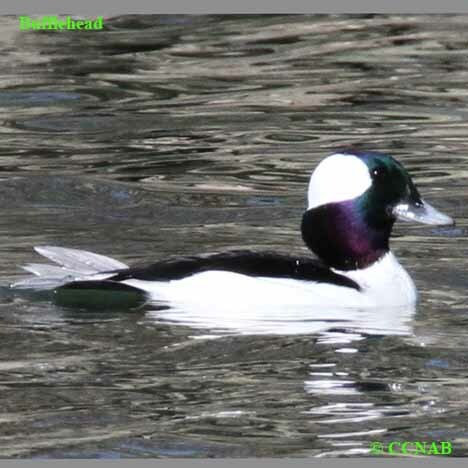 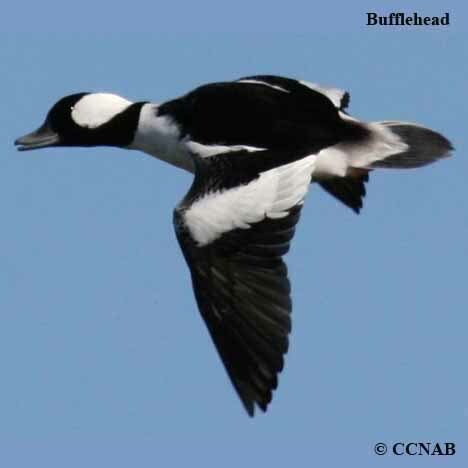 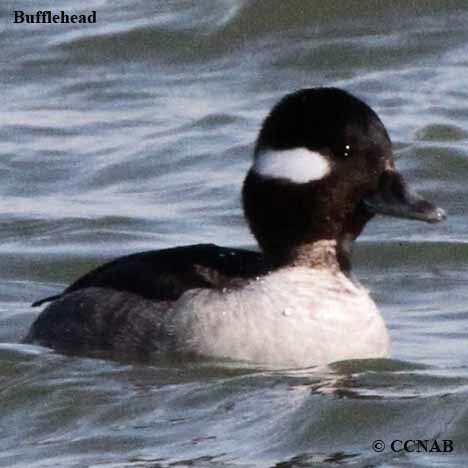 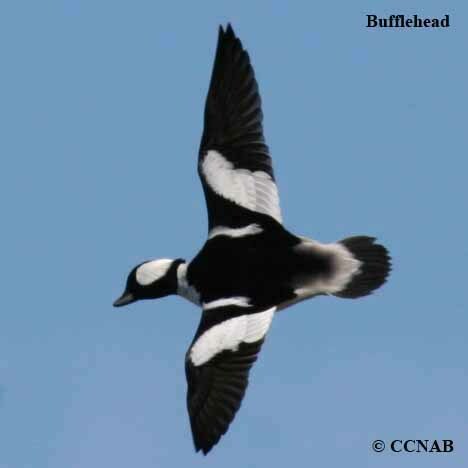 The Bufflehead is a small duck, which makes it nest in tree	cavities. 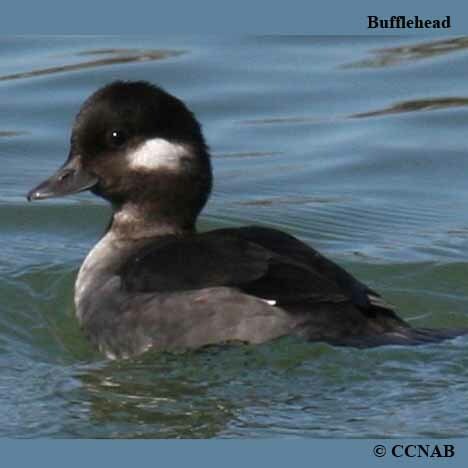 It is seen on lagoons, ponds and sheltered bays. 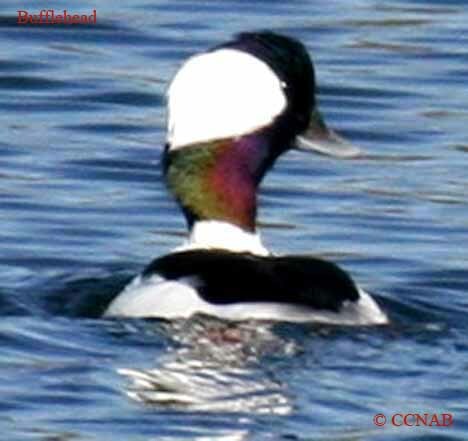 This bird is one of the diving duck species seen in North America.